Before I start this post, first I’d like to give a big shout out to all the fabulous big girls out there. This post should inspire you to be the best you you want to be. That said, let’s go! Do you ever do sleepovers? You know those nights of fun spent with a couple of your girlfriends, gisting, laughing, and acting like there’s no care in the world. Sleepovers are for little girls you say but it’s even more fun as grownups. That’s right! Me and my girls, Lanie and Jay planned a sleepover at Lanie’s house. We went to the movies during the day with her two sisters, all five fine chicks 😉 in Lanie’s sister’s car, came home at 8, stayed up till late at night, talking about everything and nothing as long as we were having fun. Now, if I ever have to stay up late gisting then I’ll have to have fuel on standby and by fuel I mean cakes, ice cream and drinks 😀 *hehehehe*. Lanie had all that in the fridge, including this delicious bread with a fresh out-of-the-oven aroma. Umm…. you’d jump right at it too if you were in my shoes. I had so much fun that night. If the number of times you laugh in a day could add a kilogram to your weight, I would have attained my dream weight that night. Wondering if you heard me right? Lol… you see, I’ve always been that chick that only adds half a kilogram in one year. And down here in Africa, if you don’t have ‘meat’ on your bones, you’ll always have a lot of explaining to do when you meet relatives. So, I’m trying to put on weight to reduce the ‘explaining’lol. Jay and I have always been the slim chicks while Lanie is the chubby chick. We were childhood friends and Lanie had always been the chubby one for as long as I can remember. The fascinating thing about Lanie is that Lanie is the definition of the word, FAB. She was fat and bubbly. Her effervescence is highly contagious. She has always had a fun and positive way of seeing things, an easy way of explaining difficult situations, and generally had a bubbly attitude to life. You’d never see Lanie down for one moment, not even if she was sick. One amazing thing about Lanie is that she loves herself. You could have the stunning figure of Salma Hayek, the sultry look of Angelina Jolie and be as attractive as Catherine Zeta Jones. To Lanie, she’s got all that and more. Most of all, Lanie’s got a big heart with so much love to share. I hadn’t seen Lanie for quite a while until the sleepover. You can imagine my surprise when we saw a slim and even more fabulous version of Lanie that day. My mouth was wide open in amazement and I couldn’t help asking how she did it. “Exercise and dieting,” she said, “don’t worry, I’ll tell you about it and tomorrow morning, you all are exercising with me. It’s so much fun!” Hmm… she dished it all out to me and like I always say, you best hear from the horse’s mouth. Here’s how Lanie did it. My words are in bold italics. Femmetotale: You’ve always been on the big side, Lanie, so what prompted you to lose weight? Was there a defining moment that made you take that big decision? Did you do it because of anybody? Lanie: Well, I started working out the day I walked into a pharmacy and checked my weight. I weighed 87 kg!!! I am not a tall chick so for my 5 feet 2 inches frame that’s obesity. I absolutely didn’t do it for anybody. I did it for me because I love me! I believe that anyone that loves you should love you big, fat or slim. If anyone has to attach a condition to their love for you then that’s not real love. Femmetotale: What’s the secret to losing weight and how did you do it? Lanie: There’s no big secret oh. Just exercise and eat right. See, I didn’t say diet. Eat right because you are changing your life and please be patient. You can’t change overnight. I am patient with losing weight. I don’t even know how much I weigh now. I have been 68 kg for a long time. I wanna lose yeah but I’m not in a hurry. Lanie: Of course. I tried using pills which worked but always left me feeling tired and I was looking sick after that plus I added all the weight back plus more. Exercise and eating right is just it. The best thing about it is that not only will you shed the weight but your skin will also glow! I have tried all the types ooh. I took pills and lost weight but girl Exercise and eating right is it. Femmetotale: Did you get any help or encouragement along your fitness journey? Femmetotale: Tell us about dieting. How difficult is it really? I remember you had cakes, ice cream and bread at home that night but you never touched any. Does it require discipline? Lanie: NO has to be your favourite word. It’s not easy… I swear! I just try to keep things that are healthy and sweet in the fridge so I can reach for them instead. You remember I made this delicious avocado and lime spread the morning after you slept over in my house? (umm yea… yummy! Now you’re making me salivate. I ate it with that fresh-out-of-the-bakery bread!). The best thing is to plan your weekly meal so you won’t have any excuse not to eat right. Femmetotale: Do you have to continue your exercise and dieting for the rest of your life to keep looking this fabulous or is there a time frame? Lanie: Exercise, yeah. Everyone should exercise. Human beings were created to move. I read somewhere that the ancient man would chase an animal till the animal became tired and he would catch it. This office work thing is a recent development and it keeps us stationary. We were made to move and our bodies work better with exercise and the right food. If you work out and eat healthy you will have energy and motivation naturally… no need for energy drinks or soda. Femmetotale: What’s your advice to all the other big chicks out there that would want to be like you? Lanie: My advice is, LOVE YOURSELF! I love me… slim, large or fat. It’s the love I have for myself that made me decide to change my life. Self love is the most important thing. Thanks Lanie, for sharing these inspirational tidbits! If I ever add more weight than I intend to I’m calling you right away! Hope you’ve all been inspired by Lanie’s tale. To learn more about fitness from Lanie, you can join her on The Happy Woman’s Corner on facebook or follow her fitness handle on twitter @9jafitness. WOW, Lannie,…I LOVE YOU GURL……you’ve proved alot of people wrong and an inspiration to us all..not just in the weight loss journey issue,…I’m inspired. Thanks Femme for sharing this. Sorry to digress from the main subject, but i’m waiting for the next edition of “to fan an old flame”. Thank U̶̲̥̅̊ for ur quick response. Lol Ivy, sorry I couldn’t post it yesterday. Incidentally, there’s an Ivy in the story. Hope you enjoy reading it. This girl is a star! Makes it look so easy. wowzers! thanks for the inspiration Alicia.. But honestly, I don’t know how she does it. Isn’t it funny how those on the slim side want to add some flesh (I’m guilty) but it hasn’t worked… although it can be annoying to explain to relatives and friends why I’ve been fluctuating between 56-59kg. Honestly whenever I look at Lanie’s instagram pictures I’m so impressed, she brings to life the saying “if you can think it you can do it’. 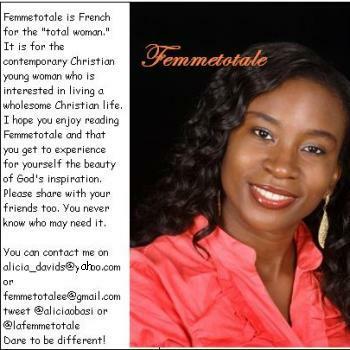 Femmetotale I think we should just work at maintaining our slim frame, it’s a gift from God lol. Kudos to Lanie…… pretty sure a lot of people will get inspired by her story. Lol… it’s the way of the world oh! The slim want to put on weight and the fat want to be slim. The fair ones want to become darker and the dark ones want to be fair. We are just never satisfied. Thank God I’m comfortable with my weight tho! To love yourself is all that matters! Lanie’s story inspires us to know that we can attain any goal we set our minds to achieve! But, like you said,..we should just work on maintaning our Gift from God.